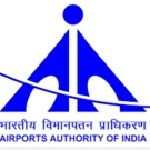 Airport Authority of India announced notification for 20 vacancies available to fill the positions of Assistant, Assistant at aai.aero designation. Those who are the job seekers looking for govt jobs in Kolkata (West Bengal) they can check all instructions and prospectors carefully then apply before the last date given 15th May 2017 and before 14th June 2017. These govt jobs in west Bengal a good opportunity to utilize who are completed B.Com graduation they can apply for this recruitment, more the details given in the below following. Academic educational qualification: - B.Com with computer training course of 3 to 6 months with 2 years. Academic educational qualification: - Graduate with Typing speed 40 wpm with computer knowledge with 2 years relevant experience. The process of selection for the job: - AAI admit card 2017 will be issued to conduct the Written Examination for Senior Assistant, Assistant vacancies. Fee: - Applicants who wanted to participate for Senior Assistant, Assistant vacancies should pay the below charges through System Generated Challan of State Bank of India (SBI) only. Process method to apply for AAI vacancies 2017: - Eligible applicants may apply Online through the website www.aai.aero from 15.05.2017 to 14.06.2017.